Securi-Guard Limited, in the United Kingdom, helps organizations monitor the safety of their lone workers who are using Blackline Safety’s employee safety monitoring technology. Our lone worker devices, combined with Securi-Guard’s Alarm Receiving Centre (ARC) —are compliant to BS 8484 and deliver the fastest possible emergency response to an employee who has suffered an accident injury, animal attack or assault. Securi-Guard offers +24/7 employee safety monitoring to our customers in the UK and Europe. 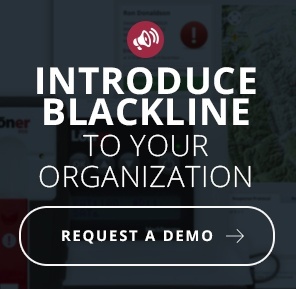 Finding a lone worker in a time of need is made simple thanks to Blackline’s powerful real-time communications and visualization tools provided by Google. Blackline maps the employee’s precise location on a Google map to provide location-based context—even if the employee is working indoors. Custom floor plans are overlaid on the Google map, pinpointing the individual’s location. Blackline has partnered with Iridium for real-time, bi-directional communications in all locations beyond the reach of traditional cellular networks. Iridium is the leading provider of truly global satellite communications using a constellation of low Earth-orbit satellites. Some other satellite communications services use geostationary satellites that appear low on the horizon at higher latitudes. Iridium satellites are deployed in near-polar orbits, providing excellent visibility everywhere around the globe. As a result, Blackline’s Loner Bridge System provides industry-leading safety monitoring no matter where an employee working alone is located. Blackline has received several forms of funding from TECTERRA, a Calgary-based not-for-profit organization that supports Canadian geomatics organizations with government funding. Blackline has been awarded funding to support product development and commercialization programs, as well as the hiring of highly qualified personnel.